They travel from across the country, seeking treatment for testicular cancer. The young men – the average of diagnosis is about 33 – are advancing in their careers, and expanding their families. Many say that when they hear the diagnosis, they have no words. Like his patients, Dr. Clint Cary is also a man of few words. And like his patients, he is a husband and a father. Inside his office in Simon Cancer Center, are construction paper drawings created with little hands. There’s a homemade frame covered in hearts with a picture of Dr. Cary with his smiling daughter. He has two daughters, ages 6 and 8 and a son, 4. He says his wife Adrienne has the toughest job of all – raising their three children. The landscape of his life is not unlike that of his patients. The American Cancer Society estimates about one in every 250 males will develop testicular cancer at some point during their lifetime. It’s estimated about 9,310 new cases will be diagnosed this year and about 400 deaths will result from testicular cancer. New treatments – including clinical trials – reduce the risk of death to about 1 in 5,000 of those diagnosed. Treatment typically depends on the type and stage of the cancer. Options may include surgery, radiation, chemotherapy, or high-dose chemotherapy followed by stem cell transplant. Dr. Cary’s role at IU Health is to help patients navigate their treatment options. His research interests are specific to early and late stage testis cancer. He also has an interest in both muscle invasive and non-muscle invasive bladder cancer. His research is funded by the National Institute of Health. He completed medical school at the University of Tennessee Health Science Center in 2005; completed his internship and residency with IU School of Medicine; and obtained his Masters in Public Health from the University of California, followed by a second fellowship also at the University of California. The sound of classical music in the morning and jazz in the afternoon . . . the smell of fresh flowers . . .the feel of a warm comfortable bed at night . . . the sight of words – on a crossword puzzle or filling the pages of a good book. Theresa “Terry” Erickson’s wishes were simple. In short, she wanted to be comfortable; she wanted to enjoy the days of her 92nd year. When she was diagnosed with cancer, Erickson, a former emergency room nurse, said she decided against chemotherapy. It was Thanksgiving when Erickson was preparing to travel to Oklahoma for her grandson’s wedding. She started coughing. There was blood and the scans revealed she had lung cancer. “I’ve always said I’d have Hospice. I didn’t want any chemo and I appreciate the care I’m getting,” said Erickson, who has three daughters –Lynn Gross, Glen Arbor, MI., Pat Cutter, Indianapolis, and Jeanne Erickson, Milwaukee, WI. – and 11 grandchildren. She met her late husband E.W. when she was an emergency room nurse at Mercy Hospital. He was a resident and went on to become a surgeon. They were married for 52 years when he died in 2002. 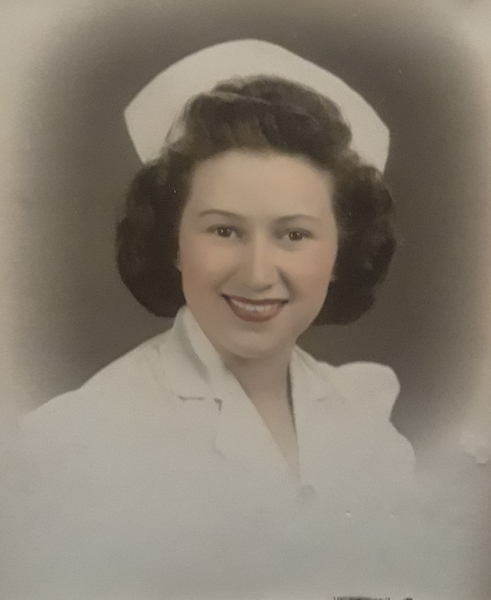 Erickson was living in Michigan at the time of her diagnosis and the family began making plans to move her to Indianapolis to live with her daughter Pat Cutter and her husband, Dan. “Mom wishes to age gracefully. She has done that. She had started with hospice in Michigan and when we knew she was coming to Indiana, I wanted a smooth transition,” said Pat Cutter. Her first contact was Robert Lim, a chaplain with IU Health Hospice. “She arrived on December 26 and he was here on December 26. Services began immediately,” said Pat Cutter. Lim also helped connect Erickson with a priest and a local Catholic parish. “Hospice deals with so many end-of-life issues. It’s an opportunity for a patient and family to talk about some of those concerns and work through the essential needs,” said Lim. In addition to Lim, Erickson’s care team included a home health aid, a nurse, a social worker and occupational therapists. “Hospice is care designed to provide patients and their loved ones emotional, spiritual, social and physical support when curative measures are no longer the goal of care,” said Gail Wind, IU Health Hospice Supervisor. “The hospice interdisciplinary team helps patients maintain the highest degree possible of comfort, compassion and dignity. Additionally, bereavement services are offered to families and/or caregivers as they work through their grief and loss,” she added. “They take my concerns to heart. They really want to know that I’m safe and how I am adjusting,” said Erickson, as she sat with her Hospice team talking about her care. 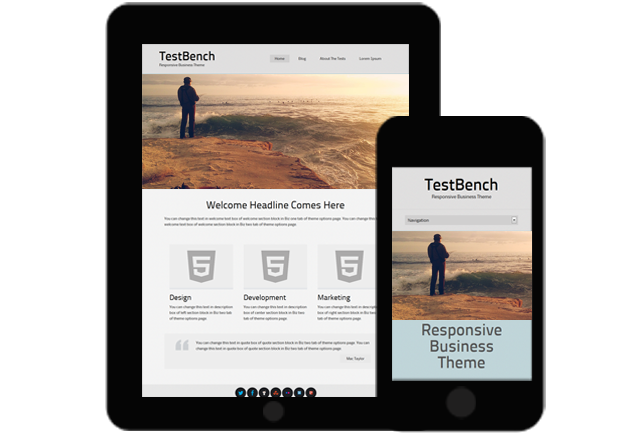 Those concerns are different for every client. When Erickson left her Michigan home, it was important to her to return, clean out her apartment, and acknowledge the friendships she’d made. 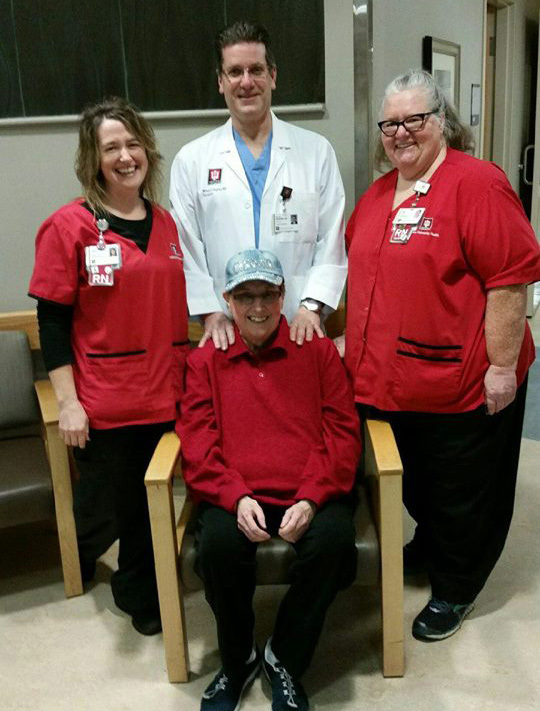 IU Health Hospice caregivers helped Erickson’s family connect with the Hospice team in Michigan so there would be no lag in Erickson’s care when she returned for a visit and there was emergency assistance readily available. For years, Erickson’s life was filled with travel with her husband and family members – trips to France and England, the Czech Republic, Italy and Greece. After her husband passed, she was known as the friendly visitor and an ambassador at her retirement community – conducting blood pressure checks and welcoming new residents. It was difficult for her to leave because she enjoyed her independence. But Hospice made it easier for her to maintain some of that independence. 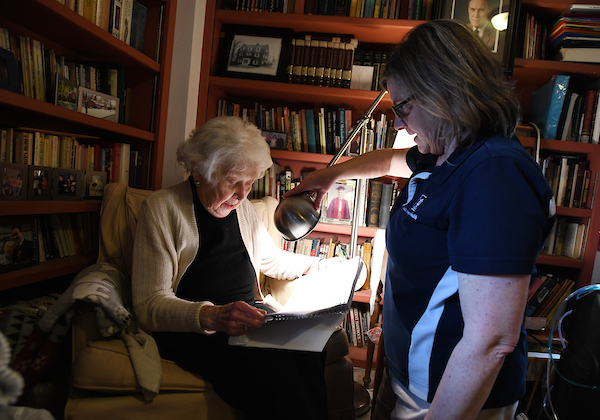 Occupational therapists helped the family improve Erickson’s day-to-day living – adding stronger lighting to illuminate her crossword puzzles and introducing her to larger printed books. They assisted with other adaptations too – adding bright-colored tape to mark steps and entryways, buttons on the remote control, and light switches. 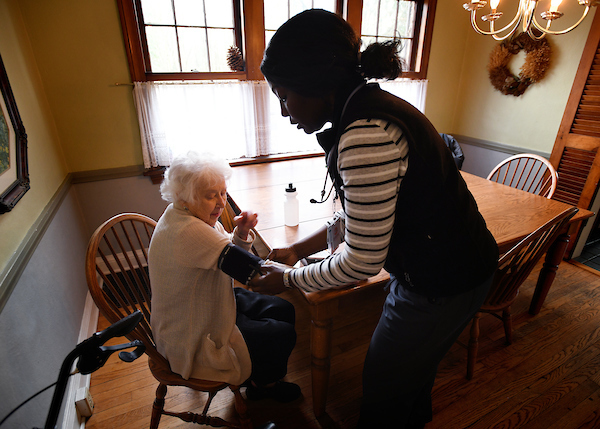 A home health aid provided additional companionship and assisted with daily hygiene. Weekly nursing visits included checks on Erickson’s blood pressure, medication, heart rate, and eating and sleeping habits. Terry Erickson enjoyed a flow to her schedule. She woke up listening to classical music, drinking her coffee, writing in her journal, working crosswords, reading or listening to books on tape, and watching the world news. She communicated frequently with extended family and friends through cards and letters. She liked to keep doing the things she loved best. Erickson passed away this week surrounded by her family. Read her obituary here. They come in nervous and overwhelmed. They come with questions and worries. And then they meet nurse Jilaine Stevens. She is a positive force inside the pre-admission testing area at IU Health Methodist Hospital — ready to greet patients and calm any angst they might have. Each week, dozens of patients set for surgery – from outpatient procedures to craniotomies — come through the testing area. They are sent by their surgeons, often due to comorbidity, two chronic diseases happening simultaneously. The area has two physicians, two nurse practitioners and one physician assistant, as well as nurses. Stevens’ job is to perform EKGs, do pre-op testing, educate and put patients at ease. “My goal is for them to leave feeling positive,” she says. But Stevens’ job is so much more. What happens inside the pre-admission testing area has had a dramatic impact on patient outcomes, decreasing infections rates. As part of their visits, patients get shakes to build up the immune system, devices to exercise lungs before surgery, ointment to help prevent infections, a shower cleanse for the night before and day of surgery. Stevens grew up in Berne, Ind., south of Fort Wayne. Her dad was a veterinarian; her mom was a nurse. Stevens didn’t know as a young girl she would follow in her mom’s footsteps. But after two years at DePauw University, she headed to Methodist for the nursing program. She lived in an apartment not far from the hospital, took classes at Wile Hall and did most of her clinical work at Methodist. “I just loved it,” she says. After graduating, she stayed on at Methodist, working general surgery, trauma and post op. 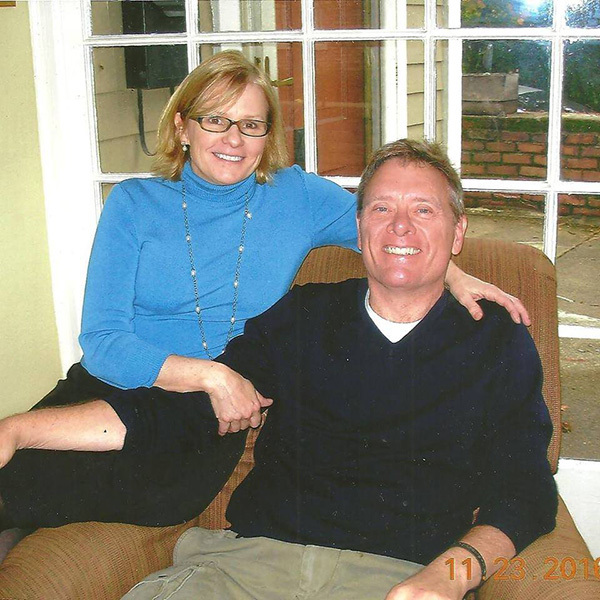 When her husband, Larry Stevens, M.D., headed to Chicago in 1989 for a two-year transplant fellowship, Stevens took a job at Northwestern Memorial Hospital as a recovery nurse. She fell in love with that unit and when the couple moved back to Indianapolis, Stevens took a job in the recovery room at Methodist in 1991. 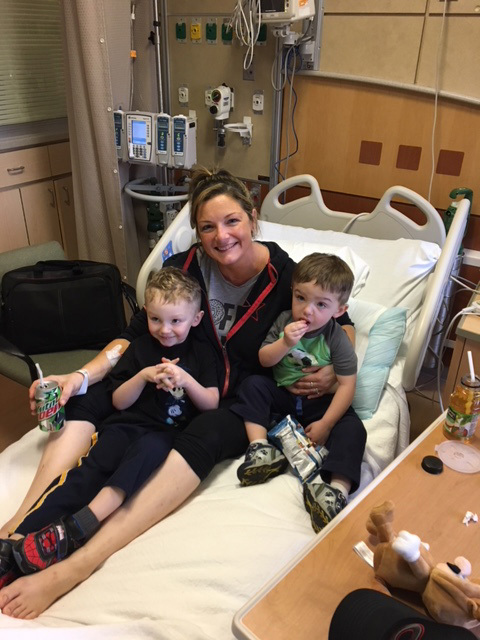 After her two children were born, Stevens took some time off to be a full-time mother. When she returned to work, she took at job at IU Health North Hospital in preadmission testing, staying there until 2012. After several years at a private practice, she landed back at Methodist in August. You might not know: Stevens is married to Larry Stevens, M.D., medical director of surgery at Methodist. The two met when, as a nursing student, Stevens was asked to help a first-year intern put a chest tube in a patient. That intern was Dr. Stevens. Personal: She and Dr. Stevens have two grown children, daughter Taylor, a sophomore medical student at IU; and son Austin, a mechanical engineering major at the University of Mississippi. Outside of Methodist: Stevens loves to cook, especially desserts and appetizers. She likes scouring the retail scene for purses and shoes and traveling with her husband. She also has a beloved Maltese dog named Ellie. Inside Sarah Henderson Powell’s purse are a few things that she hopes keeps her young sons occupied during church. There are action figures, gum, and pens and pencils for drawing. Like any good mom, she’s prepared. But it’s the other items that have been critical for her survival – Sugary snacks, juice, a glucometer to measure the amount of sugar in her blood; and a glucagon pen to provide an emergency spike when her blood sugar drops too low. For years, Powell couldn’t leave home without her survival kit. All that changed recently when she received a second pancreas transplant. “When you’re a mom and you are diabetic you have to be ready, you have to be prepared. You can’t just pick up and go,” said Powell, 35. Traveling overnight meant packing extra medicine, test strips – all the necessities for Powell to make it through a single day. A native of Shelby County, Powell is a 2000 graduate of Shelbyville High School where she spent time performing with the drama club in such musicals as “Joseph and the Amazing Technicolor Dreamcoat.” Mostly she hung out with her friends. One of them had an older brother that Powell didn’t know well at the time but later became reacquainted with. 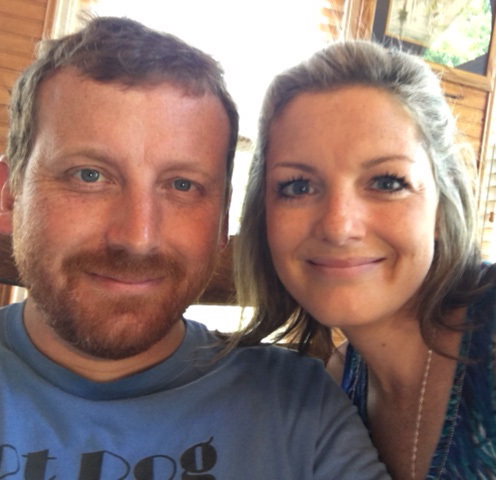 She married Travis Powell in 2012 and together they have two boys Jake, 5 and Jack, 3. Travis also has a son Garrett. Powell’s father, a podiatrist, encouraged all of his children to attend college. But Powell, the youngest of four wasn’t sure what she wanted to pursue, so she worked as a restaurant server and eventually decided to enroll in college. “The best thing I did was get a serving job,” said Powell. “It gave me real-life experience and pushed me to want something more.” She also worked at a nursing home for a couple of years and discovered her gift of caring for geriatric patients. The next step for her was to enroll in a nursing school program. She had just completed her LPN and applied to the associates program when she was diagnosed with Type I diabetes. She was 26. Working with an endocrinologist, Powell said she tried various forms of insulin, pumps, and monitors to try to regulate her sugar levels. As she completed her bachelors in nursing, she said she struggled to keep up her strength. There were days her sugar spiked to 600 and then would crash to an all-time low. “I was sick all the time and there didn’t seem to be any rhyme or reason to the highs and lows.” Within five years, she estimates she was in and out of the hospital about 20 times. Eventually, doctors determined that she was a viable candidate for a pancreas transplant. 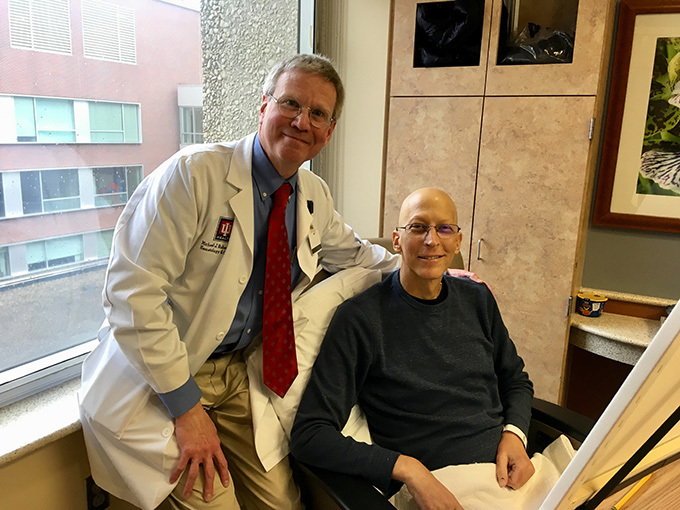 On Nov. 11, 2016, under the care of IU Health surgeon Dr. Jonathan Fridell, Powell received a pancreas transplant. For two months she said she felt better than she could ever remember. But in February 2017, her body began rejecting the transplant and in July she underwent surgery to remove the graft. She went back on the wait list and on Feb. 13 she received a second transplant. Powell was back home six days after her transplant. Powell says the transplant gives her hope. As she recovers, she looks to her family for encouragement and support. Powell says she wants to give others with diabetes hope that there is a road to healing. As patients lie sick in hospital beds, unable to eat on their own, the nutrition that drips from their IV bags is critical. It is a custom-made concoction saving their lives. After being wheeled out of surgery or after enduring unthinkable trauma, patients inside those hospital rooms are given medicine to save their lives. And down on the ground floor of IU Health Methodist Hospital is the man overseeing it all — Mark Barricklow, pharmacy manager at IU Health. He leads about 90 inpatient pharmacists, both at Methodist and University hospitals, processing about 6,500 patient orders each day. It’s a role he does with compassion and competence. It’s a role directing a department that often goes unnoticed, working quietly behind the scenes, but one that is crucial. It was nearly 31 years ago when Barricklow first came to Methodist as a technician. He was a pharmacy student at Butler University and had dreams to be a drug rep for one of those big pharmaceutical companies. But when he graduated from Butler in 1989, he interviewed for some of those rep positions. They weren’t exactly how he’d envisioned his career would be. So Barricklow went to pharmacy leaders at Methodist and said: “I think I want to work here full time.” The hospital gladly scooped him up as an inpatient pharmacist. And he never left. Barricklow worked in many areas of the hospital, including the IV room, where he stayed for nearly eight years. He then took a coordinator position. And when the pharmacy management role opened up, hospital leaders approached him to fill the post. He is modest, but Barricklow has many accomplishments, including being known as an international expert in total parenteral nutrition (TPN). TPN is IV nutrition — bypassing the digestive system and dripping a nutrient solution directly into a vein — that feeds patients who can’t eat. Barricklow helped to consolidate that process for all of IU Health hospitals (except for Ball Memorial) in 2003, the first health system in the nation to do so. Just down the hall from Barricklow’s office more than 75 bags of TPN are filled each day by six pharmacists. Each bag is made up of the prescribed dose of nutrients for the patient. And each is different depending on the patient need. It’s a formula that may consist of carbohydrates, lipids, electrolytes, glucose, salts, amino acids as well as added vitamins and dietary minerals. Barricklow will be in Chicago Friday to speak about TPN to medical and pharmaceutical professionals from all over the world — China, the United Kingdom and Canada. Yet, Barricklow is quick to divert the attention away from him. Personal: He is the father of a high school senior, Carter, and lives in Fishers. Outside of IU Health: He enjoys cooking and theater. He can make a mean steak, medium rare, and he travels to New York a few times a year for theater. He recently saw “Hamilton” in Chicago. On a recent weekday, Brad Kremski was interrupted often with knocks on the door of his hospital room and a few unexpected phone calls from his home in Tampa. “This morning has not gone as I planned. I really wanted to just settle in and paint,” said Kremski, who arrived at IU Health Simon Cancer Center on the first day of the New Year. He was feeling stronger after weeks-long treatment for testicular cancer that combined high-dose chemotherapy followed by a stem cell transplant. It was when he was first diagnosed back in Florida that Kremski had a vision that he describes as a bird – a dirty bird. He decided then that the dirt represented cancer. When he arrived in Indianapolis, the vision came back to him. This time the bird was illuminated like it was surrounded by stained glass. 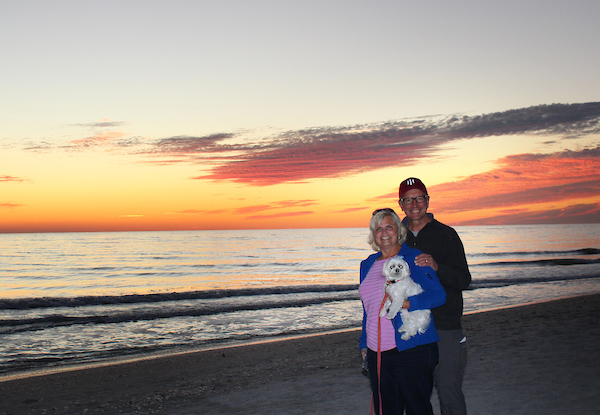 “When Brad described the vivid details of the imagery and symbolism within the dream, it was obvious that it was a meaningful, inspirational, and reassuring part of his cancer journey. I was truly honored to be able to support him in creating a painting that would illustrate this source of inspiration, said Lisa Rainey, Cancer Resource Center Art Therapist, who helped Kremski identify a species of bird reflected in his dream. Together, they settled on a peacock – the vibrant colors subject to interpretation that Kremski saw as hope for a future free of cancer. Rainey said her goal as an art therapist is to get to know patients so she can help them heal by designing clinical art therapy interventions focusing on the patient’s strength and then supporting those strengths through the creative process. 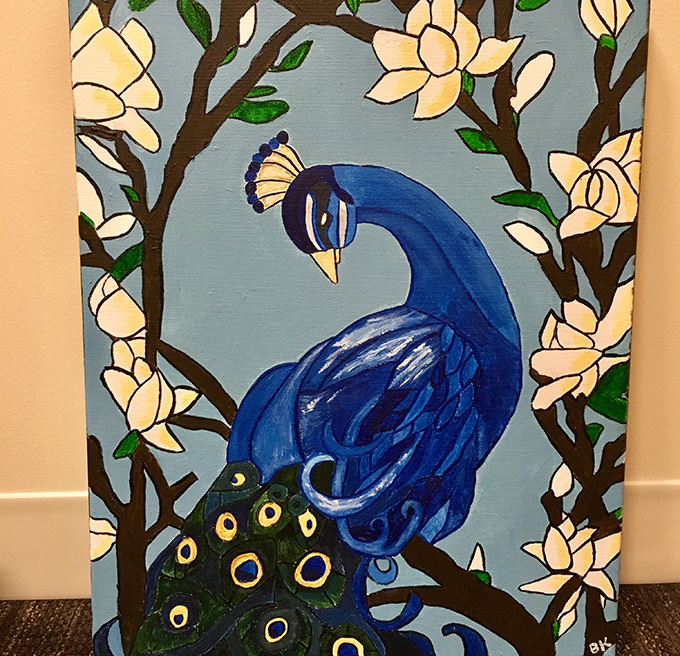 “Brad was so dedicated to completing this painting, that even on the days that he was feeling his worst, it was a source of motivation to get out of bed and actively engage in something positive for a while. I witness patients get lost in their artwork, and forget about the symptoms and pain they might be experiencing,” said Rainey. During a recent painting session, one of his visitors was Dr. Michael Robertson, who specializes in hematology and oncology at Simon Cancer Center. Sitting near the window of his hospital room, Kremski took in the natural light as he sketched the outline of the bird and then chose colors for the painting. As he sketched, he talked about his family back home – his wife Michelle, and his two sons. And then he has little more to say – he has a painting to complete. Doreen Lamar kicked off March with a birthday, and an outlook unlike many birthdays of her past. On January 16, 2013 she received a new kidney. But today, she talks about her transplant surgeon Dr. William C. Goggins, her nephrologist, Dr. Muhammad S. Yaqub, her pre-transplant coordinator, Tina Ray, and post-transplant coordinator, Alisha Turner, like family members. She proudly displays photos posing with her caregivers – including one of her nurses, Pat Failey, who has worked with IU Health for 30 years. Many of the photos were taken on the five-year anniversary of her transplant. “When I go to visit, there is a chair in the waiting room that they call my ‘thrown.’ Everyone knows where they can come and find me and they do. It’s like coming home,” said Lamar. She’s also known for treats such as brownies and cookies or Tell City pretzels. March is a special month for Lamar – National Kidney Month, a time the National Kidney Foundation focuses on the awareness, prevention and treatment of kidney disease. Today, on World Kidney Day Lamar shares her journey to better health. Lamar’s kidney issues developed after back surgeries. Her phrenic nerve was damaged leading to paralysis of her diaphragm. After 13 months on a ventilator, her kidneys never recovered. She was on dialysis six years leading up to her kidney transplant. “I was lucky. I received a kidney from a living donor – Cathy Titzer Burger, one of the strongest women I know and because of her and an awesome transplant surgeon and team, I can feel normal and healthy,” said Lamar, who spent five months as a patient at University Hospital, due to extending health issues. Lamar drives an 8-hour round trip from her Tell City Home to keep up with her appointments. Those visits are also part of her lifeline to people she now considers extended family. She is outspoken about organ donation and is eager to promote transplant awareness. It started with her cleaning business. One of Michelle R. Bailey’s clients lost her son to AIDS. After his death, the woman told Bailey that the most comfort her son received in his final days was from massage therapy. That news came at a time when Bailey was looking for a change. She’d been in the cleaning business for 18 years and was drawn to the woman’s words. Bailey went to school focusing her profession on hospice, palliative care and oncology. She graduated in 2002 and spent the first seven years of her new career working at a family-owned spa. She eventually moved to a medical spa and began volunteering with hospice and palliative care programs. She’s board certified for massage therapy and has received additional training in working with oncology patients. At Simon Cancer Center, Bailey works three days a week with outpatients in infusion and radiology oncology providing soothing foot and hand massages. She also provides massages for caregivers. Bailey’s role is part of the Complete Life Program at the Cancer Resource Center – offering services that nurture the mind, body and spirit of patients and their families. In addition to massage therapy, Complete Life Programs include art, yoga, music and cosmetology. She has one son and one daughter, both college students. She is married to Kathy Martin, a physical therapy professor. Together they enjoy outdoor activities such as camping and hiking. They also are active volunteers with the Indiana Canine Assistant Network (ICAN), an accredited service dog-training program. She was 13 and she was mesmerized. That’s how Charlotte Ottinger remembers watching a television show that taught American Sign Language (ASL). “There were two things in my life always in the back of my mind. One was that I would work with the Deaf and the other is that I would adopt a child,” said Ottinger, who became one of the first full-time ASL interpreters with IU Health when she joined the staff in 2010. Born in Texas – into an Air Force family – Ottinger spent most of her life in Indiana and graduated from Lafayette Jefferson High School. “I was the first generation not raised on a farm in over 200 years of my family’s history. I come from a long line of farmers,” said Ottinger. Her grandparents raised sheep, cows and crops. Her mother was a schoolteacher for more than 35 years and her father was a career Air Force man who was killed in Vietnam in 1972 after 19 and half years of service. Her stepfather died of cancer in 1988. At about the same time her father died, Ottinger’s attention was drawn to the television show that taught ASL. After high school she obtained a bachelors degree in psychology from Purdue University and then applied to Gallaudet University, a private university for educating the Deaf and Hard of Hearing. The 99-acre campus, located in Washington, D.C. typically accepts only about five percent hearing students; the rest are Deaf, said Ottinger. Ottinger spent two years at the school and then worked at the Illinois School for the Deaf after her graduation before returning home to Indiana. At the age of 25 she became the Dean of Girls at the Indiana School for the Deaf – overseeing 200 students and 45 staff members. After four years she moved to IU School of Nursing as an advisor and later served as a patient representative for University Hospital. That experience led Ottinger to earn a nursing degree from IUPUI and then to work at Riley Hospital for Children on the stem cell transplant unit. “I got married late in life and had my first child three days shy of 38. 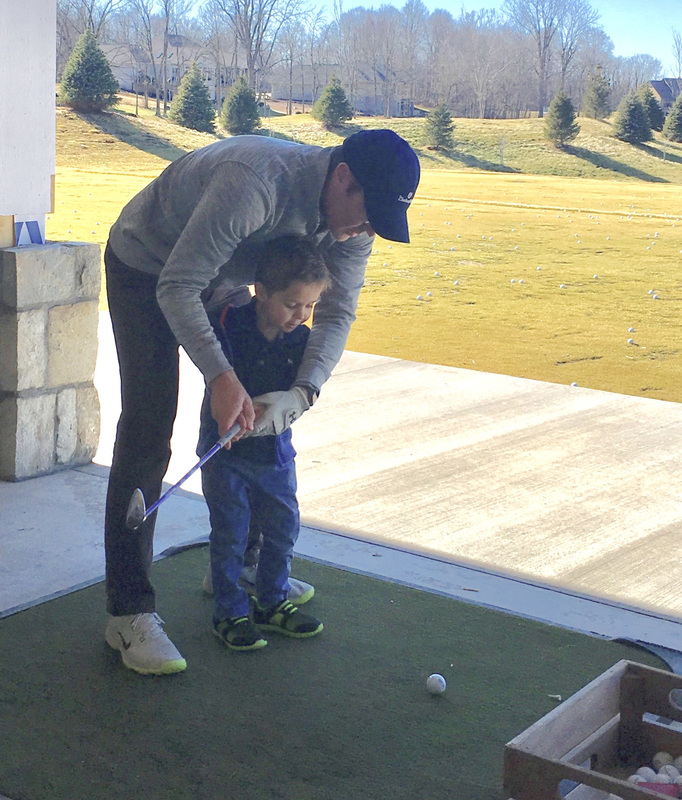 When my son arrived I wanted to stay home with him as much as I could.” So she started interpreting on a freelance basis at clinics throughout Indianapolis and also at IU Health. 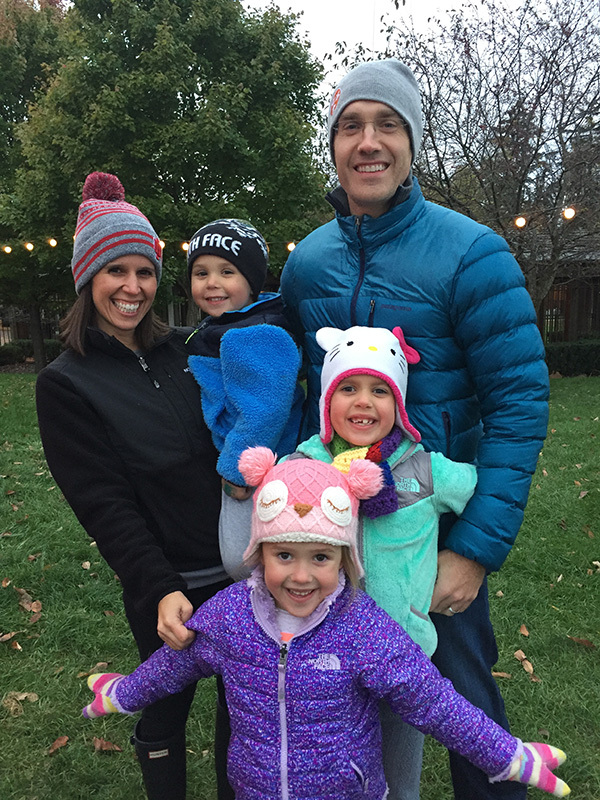 When her first born, Sam was almost two, Ottinger began looking at options to adopt a second child. When she considered international adoption, she thought of some of her early influences from her dad. When he was in the service, he traveled and often sent his young daughter gifts from different countries. She remembers receiving foreign coins, a clamshell with a pearl, sheepskin rugs from Iceland and wool sweaters from Greenland. Mostly she remembers slippers made of rich Chinese brocade. “The gifts were always unique to that culture and something I wouldn’t otherwise encounter,” said Ottinger. That was until she adopted her daughter Sarah from China. She is 10 months older than her brother, who is now 19. Sam studies engineering at IUPUI and Sarah, now 20, studies biochemistry at Trine University. Ottinger spent two weeks in China before bringing her daughter to the States. They also returned a couple years later to visit. “She was four and spoke Mandarin. I didn’t know Mandarin so I taught her sign language. She says she never remembers a time we couldn’t communicate,” said Ottinger, who married her second husband Ron Flick five and half years ago. They share a family of six children. Over the years, she has encouraged her children to embrace various cultures and has introduced their friends to the unknown. At her daughter’s elementary Ottinger helped start a citywide Girl Scout troop for children adopted from China, celebrated the Chinese New Year by making dumplings for her class, and sponsored the Shanghai Acrobatic Show for the students. “I never wanted people to tease her because she was Chinese. I wanted them to learn from her about her culture and enjoy it,” said Ottinger. The same is true in her current job. She never knows where she will be each day in her role as an interpreter – labor and delivery, ER, or pediatrics. It’s a job that allows her to do what she does best – be an advocate for the Deaf Community and an educator for healthcare practitioners – focusing on the differences between American Sign Language and the English language. “We get over 100,000 requests for interpreters a year – that includes different languages such as Spanish, Burmese, and ASL,” said Otttinger, who is the only IU Health interpreter with both an ASL and a medical background. What she likes best about her job?